The Chancellor’s Status of Women Committee invites all students, faculty, and staff to join us at the 11th Annual Women’s Health & Wellness Fair from 11 a.m. - 1 p.m. in Stotler Lounge, Memorial Union on Wednesday, March 21st. Come enjoy FREE fun, snacks, prizes, and information for your well-being (or to share with the women in your life)! This event celebrates women’s health and wellness by bringing more than 35 vendors to campus for a “one stop shop” resource fair. Don’t miss this exciting opportunity to learn, grow, and get some free swag! 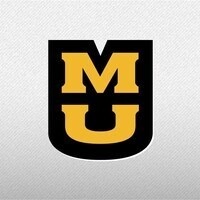 For more information, contact Heather Hoffman at hoffmanh@missouri.edu.